Tickets: Available at The Top Hat, The Wilma Box Office, and online. 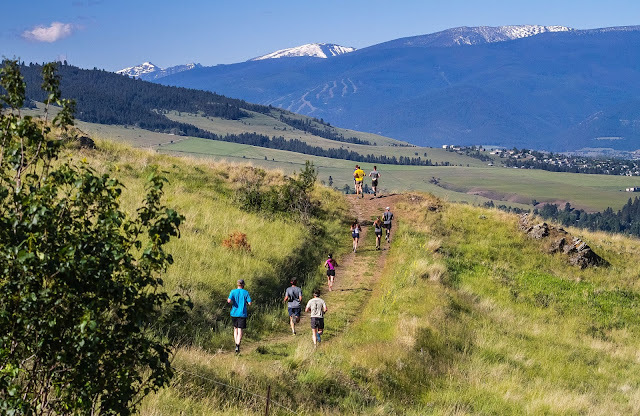 Montana Trail Crew, part of the non-profit Run Wild Missoula, invites you to come down to The Wilma for our 5th annual end-of-season party celebrating the trails that connect the outdoor community to the wild lands and open spaces so abundant in Montana. Join us for an evening of spectacular trail running film capturing the lure and indescribable sensation of venturing deep into the wild. Come early to take in a Montana trail running slideshow before viewing this year's selection of the best trail and mountain running films found anywhere, including video shorts and feature films from Montana and beyond. Stick around for a chance to win products from one of our many generous sponsors and head home knowing that event proceeds are going toward improving the local trails we love. The 2017 Mountain Running Film Festival will also double as the awards ceremony for this year's Treasure State Treasure Series. In between films we will be presenting awards from Altra Running to the top five men and top five women. This eleven race series spanned from mid-May to the final race, the Elk Ramble, the morning of the Film Festival. Join us November 4th for a big screen celebration of another great year on the trails!